Welcome to Razor Tutorial. This tutorial teaches you Razor markup with C# programming language. 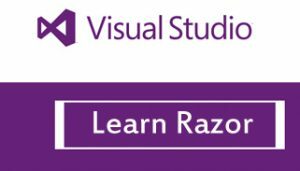 Razor is not a programming language it is server side markup language that enables you to put power of C# language in simple HTML page. By using of Razor you can write C# logic directly in your webpages. It's not only simplified the web development but the boon for dot net developer. ASP.NET MVC used Razor syntax widely. Razor syntax is very easy to write like HTML and you can be master of this markup language just in few hours. This tutorial is designed for self-learning and all the chapters contain description with, complete programming example with their output. I personally believe that a simple example can understand you better than bulky theory. This Tutorial contains following Chapters.